Data collection has commenced with the new Zephyr Hxm Bluetooth Heart Monitor. I have been collecting data now for a few weeks and have developed a database and website to display the data. The above graph charts out one of my lunch runs. 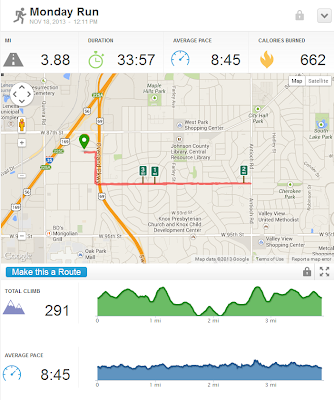 I use RunKeeper to track my runs. 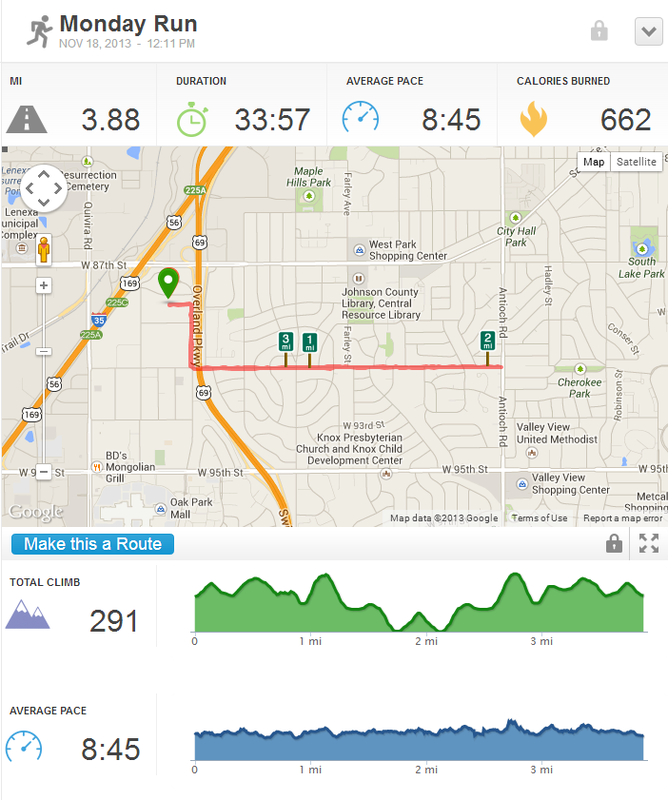 The picture below shows the details from Run Keeper. Finally got tired of the image resize drama at Tumblr and migrated to the Blogger site. I am already deep into Google with gmail, my phone, drive, etc, might as well add some more data for them to collect on me. So all my awesome google search results are hosed since the links to my blog changed. Oh well. Sorry if that caused you some grief. Wore the Heart Monitor while walking through Costco the other day. I created a database to capture all the various events I record using the heart monitor. Then I configured SSRS to display the data. I need to figure out a way to match the heart rate up with various notes. Like when walking in the frozen food section near the ice cream, does my heart rate spike up.